As we know our Donna is an avid fan of The Keatyn Chronicles by Jillian Dodd!! Well in honour of the Olympics held in the last book, Jillian decided to have her own "Olympics" with each male character in the series having their own team of fans to compete against all the other "hotties" in a series of challenges over the next few weeks. Donna is captain of Team Jake aka The Good Prince. The first challenge was to create a promo piece to promote your guy! Team Jake put together a video and now they need to get as many shares as possible. The most shares on any form of social media wins ie: Facebook, Twitter, Pinterest, Instagram and many more. 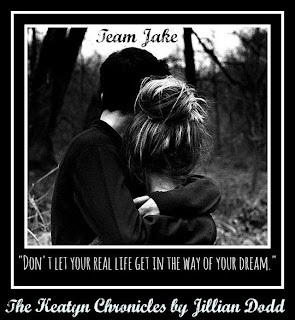 If and when you share our teams video please include the hash tags #KCCrush and #teamjake so that we can count your share and please ask your friends to do the same!! Please also include @jilliandodd in your share.